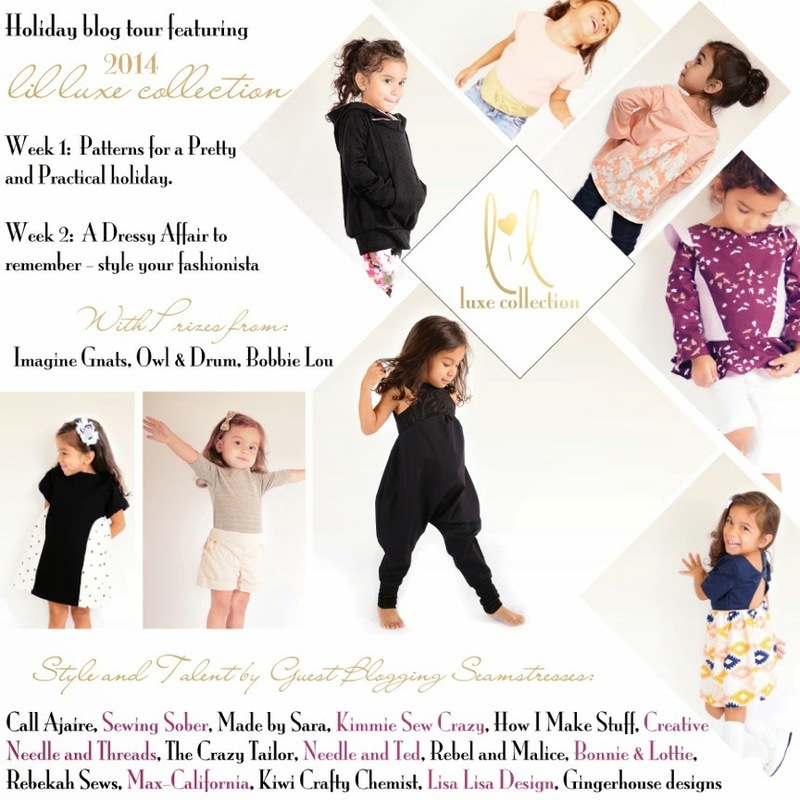 It’s time for the Lil Luxe Collection‘s (*affiliate link) Holiday Tour! 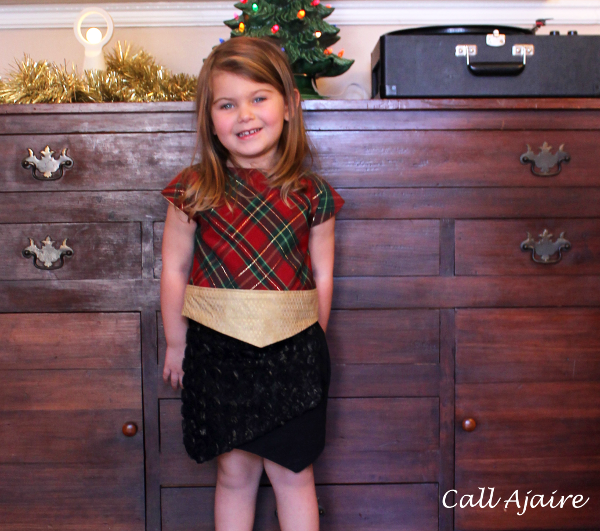 I decided that Bean would look festive in a Two Haute Skort (*affiliate link) – which you’ve seen previews of here – and a Reversible Crop Top (*affiliate link) this year. Both of these patterns are typically meant for warm weather, but throw in a pair of tights and a layered tee and it’s a perfect winter ensemble. Since the weather outside was frightful, we took some indoor pics and decided to forgo the layering (and shoes hehe), but it’d be super cute! The Two Haute pattern has both shorts and this skort option. I love the cross-over front panels and thought this floral textured fabric would be the perfect accent. There’s a slight gold tint to the flowers which makes it feel even more festive. 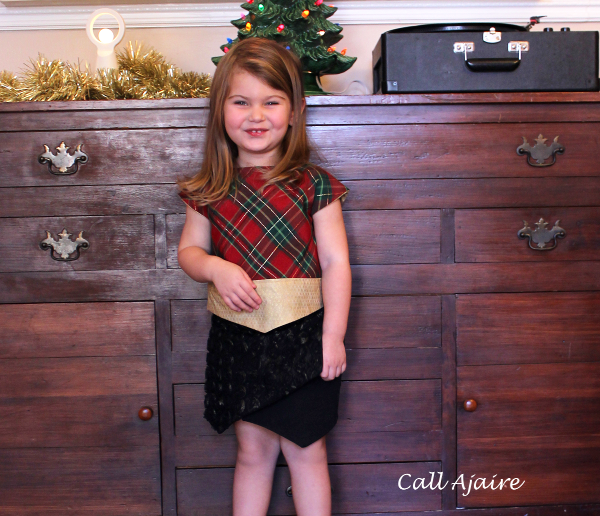 The pattern runs from size 2T to 8! 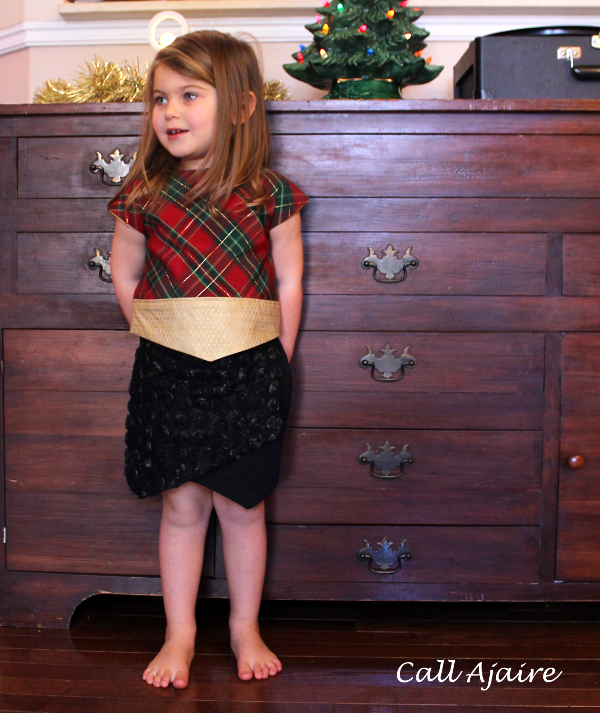 I sewed a size 4T for the skort and 3T in the crop top and the fit of both is spot on. 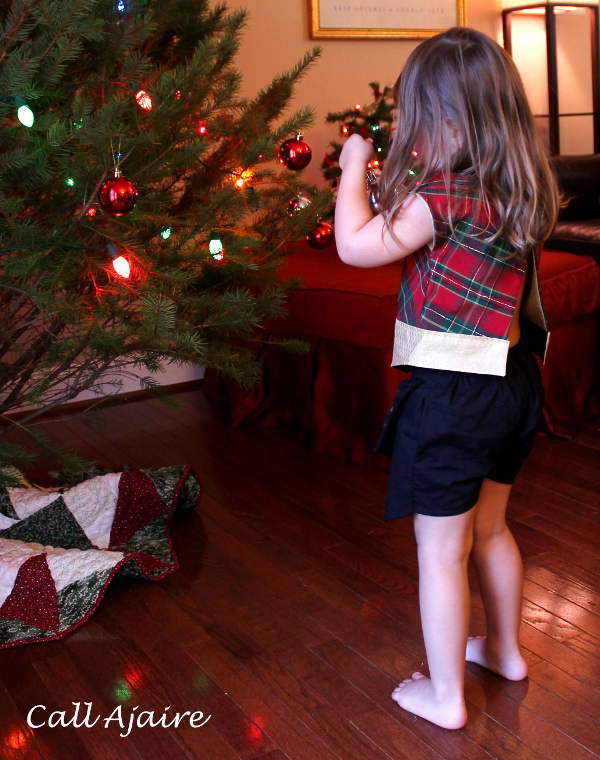 The Reversible Crop Top is (of course) reversible so I used the same gold fabric at the bottom panel of the Christmasy side for the main top and the same black fabric I used in the skort for the bottom panel of the reverse side. That way it’ll get even more use after the holidays! Speaking of more use, the Reversible Crop Top pattern comes with a paperbag skirt option which I love and I’ll post about another time. I couldn’t help but post this pic of Bean making a silly face. She cracks me up lately. Enter the Rafflecopter below cause there’s a giveaway for the tour which you won’t want to miss!